The white 8" Indoor/Outdoor 65W PA Horn Speaker by Pyle is designed for your audio signal to be heard louder at long distances. It has an audible frequency spectrum from 500 Hz to 5 kHz which is well in the human vocal range. The 101 dB dB of sound pressure level will provide your signal to be audible at further distances. 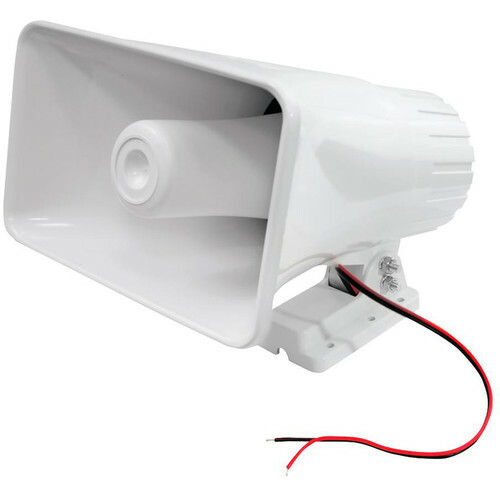 This 65W speaker includes mounting bracket and hardware for easy installation. Box Dimensions (LxWxH) 9.6 x 8.6 x 6.1"